North and South Korea: Inching Closer to the Brink of War? We bring to the attention of our readers the following report by the Korea-Asia Pacific Exchange, a Pyongyang based NGO. It presents a North Korean perspective of what is happening on the border between the two Koreas. It points to acts of provocation by the ROK military and the US. It provides a different perspective to the coverage in the mainstream press. It points to the dangers of an all out war and the role of the US in triggering conflict in the Korean Peninsula. This article is for informational purposes only. Global Research does not necessarily endorse the views presented in this article. On August 20th the south Korean puppet military cooked up a case of “shell fired by the north” and under that pretext, committed a reckless military action of firing 36 shells on the posts of the Korean People’s Army. South Korea is clamoring without evidence that this firing of shells was in response to a shell which had been fired by the North. On Aug. 20 there was not a single shell nor bullet fired by us against the south, and even accidental firing did not happen. The unilateral firing of the south Korean puppet military is neither contingent nor accidental but a pre-calculated plot of provocation. They first set up a case of “mine explosion” and then under that pretext, resumed their psychological warfare of anti-DPRK broadcasting in all sectors of the front and frantically scaled up the leaflet scattering operation against the DPRK. Then they embarked on a subsequent stage of military provocation by firing 36 shells against the DPRK. Their resumed psychological warfare and military actions against the DPRK was instigated at a time when the “Ulji Freedom Guardian” [US-ROK war games] were in full swing in south Korea. This large scale joint military nuclear-war exercise led by the US started on August 17. What it shows is that the south Korean puppet was closely cooperating with the US with a view to triggering a disastrous war which will engulf the entire Korean nation by imputing the DPRK’s responsibility pertaining to current tensions between north and south and by creating a good reason to justify fratricidal confrontations [between the two Koreas]. In response to this grave situation, an enlarged emergency meeting of the Central Military Commission of the Workers’ Party of Korea was convened in the evening of August 20. At this meeting, an order of the Supreme commander of the Korean People’s Army was issued to the effect that the extended frontline combined units of the KPA should enter a wartime state to be fully battle ready to launch surprise operations. Moreover, an order was issued to the effect that the area along the front was to be put in a semi-war state from 17:00 hours on August 21. The situation of the Korean peninsula is inching close to the brink of a war due to the reckless provocations by the U.S. and the south Korean puppet forces. 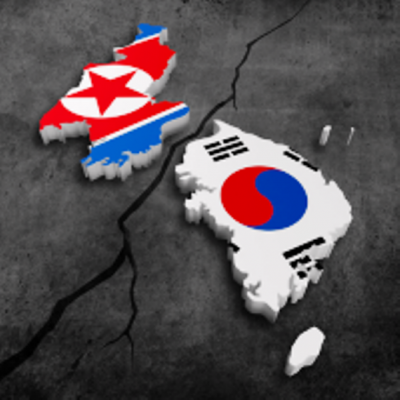 The current situation once again clearly shows that the US and its follower south Korean puppet regime, is intent upon exacerbating the tension on the Korean peninsula and breaking peace and stability in the region. We firmly believe that world peace and justice loving people and international organizations will correctly understand the nature and dangers underlying the current situation on the Korean peninsula and will act accordingly to support to the Korean people in their struggle for safeguarding their national sovereignty.